Compare Cheaper Car Rental in St Lucia Airport - Get lower cost SUV, MPV & minivan hire at Hewanorra Airport. For Saint Lucia car rental, we have great deals at both airports and downtown. At the main Hewanorra International Airport, you have the following choices to save money:- Avis, Drive-A-Matic, Sixt & National. Only Avis keep their cars at the airport, with the others taking you by shuttle bus to their nearby depots. The depot in Rodney bay is at Lawjanz Crescent on Commercial Boulevard. Extras - GPS/Sat Nav is not yet available, as not really needed. You can get child seats and extra drivers. Fuel Policy - Pay for half a tank and return empty. Other, Need to Know - Unlimited Mileage. Free amendments and also on cancellation possible, but terms apply. Officially it is the East Caribbean Dollar (EC$), however most tourist attractions will also accept US dollars and will quote prices in eithercurrency. ATM machines are readily available in main towns and accept overseas credit/debit cards. This island is situated between the Atlantic Ocean and the Caribbean Sea, north of Trinidad and Tobago. The people of St Lucia are of African descent and speak English, which is taught in schools around the country. About 80% of exports are bananas and they mostly go to the United Kingdom. 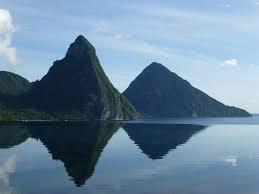 St Lucia is the most mountainous region in all of the islands in the Caribbean region. Its highest peak is Mount Gimie, measuring at 950 meters above sea level. Compare cheap car rental Saint Lucia. St Lucia car rental made easy. Budget car hire in St Lucia. The capital city of St Lucia is Castries, replacing Soufriere. 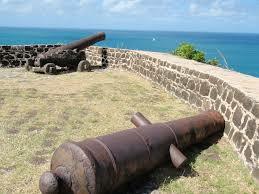 Its other major towns are Vieux Fort, Gros Islet, and Marigot Bay. St Lucia has two airports, with the Hewanorra International Airport being the main arrival point for tourists. The other airport is George FL Charles Airport, which is used more for business and local Caribbean air traffic. When you land, it is generally a sunny as summer rules all year round, although occasional rains and cool breezes occur from time to time. St Lucia Tourism - This is a major industry. This Caribbean island is very popular due to its beautiful beaches, exciting resorts, breathtaking scenery, and wonderfulweather. The other attractions in the island include the Sulphur Springs, drive-in volcano, The Pitons, and Botanical Gardens. There are numerous beach resorts here, that could provide such a marvelous experience to travellers, like the Marigot Bay and the Maria Islands Nature Reserve, among others. The beaches are also where one can do some turtle and whale watching, diving, and water sports. Being an island, beaches are all around. However, the most photographed scenery in the island is the Twin Pitons. These are the peaks that serve as the major landmark, resembling two cones standing side by side. Being a small island, there are no natural or man made lakes. Industry - The agriculture industry still plays a vital role to the economy, although tourism proves to be a very good source of income during the dry season. The other industries that are flourishing in St Lucia are related to transshipment and petroleum storage. History - The Europeans were the first inhabitants.. The Spaniards came in first but it is the French that created a permanent settlement in the island and developed it for cultivation. 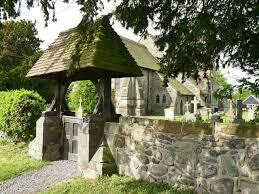 But when the French were beaten by the British during the war, they gained full control of the island. So aside from Carib labourers, they also sent African slaves to the island. That is the reason why the people here are mostly of African heritage. There are many famous St Lucians in the world over and these are George Alphonse, an actor, author, poet, and director; Michelle Baptiste, an athlete; Rufus Bousquet, a politician; and Didacus Jules, an educator. Did You Know that St Lucia has several Nobel Peace Prize laureates? As a matter of fact, it has the highest rate of Nobel awardees per population count than any country.